The weather has been too beautiful lately -I love it when it's like this - it makes all the difference to everything!. Spring is a time for spring cleaning........our bodies that is. 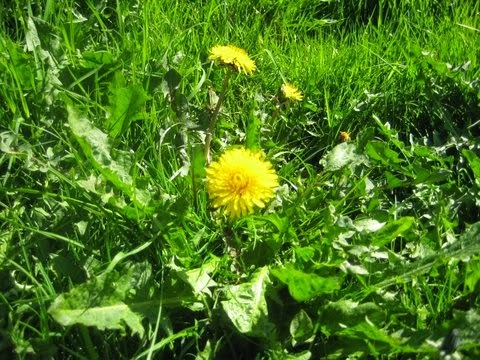 Nature gives us all that we need with an abundance of nettles & dandelion leaves around - both fantastic to help our bodies detox from the excesses of winter. 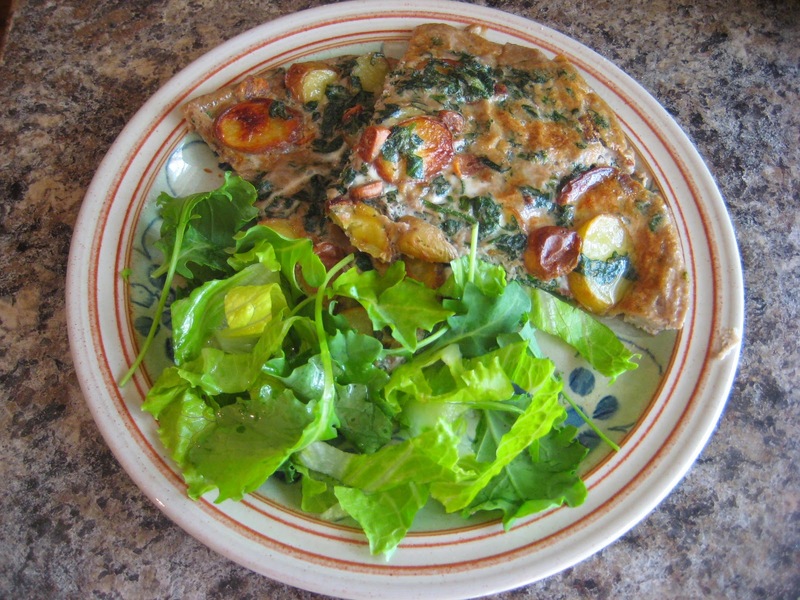 I use dandelion leaves in stock or make tea - you can also used them in salads or steam them as you would spinach - and in today's recipe I've used nettles to flavour a frittata. I have to be honest & say the colour of the omelette was more green than yellow/ orange - I suppose because of all the nettle goodness! - but it reminded me that last year my Gran told me that in the war the eggs were green because the hens ate acorns?!? I'm not sure that's right...........will have to investigate that story further. So, forgive the colour, this is a tasty way of eating your nettles - both nettles & eggs are rich sources of Iron, so what are you waiting for? 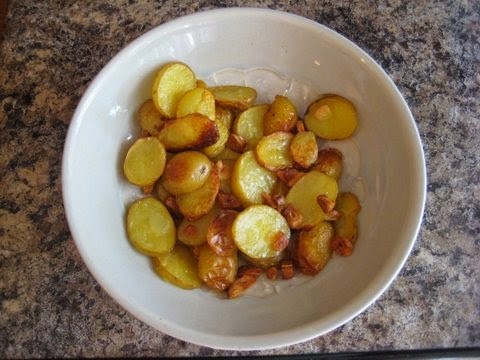 First up, slice the new potatoes and peel and slice the garlic cloves. 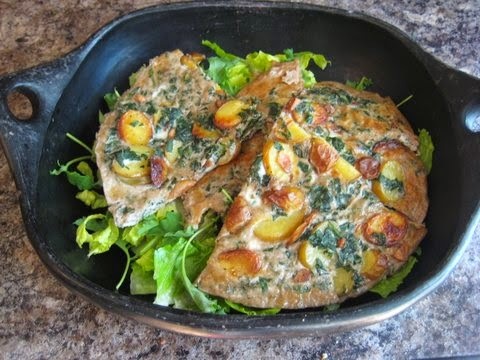 Place in an oven proof dish with 1 tablespoon light olive oil/ rapeseed oil or other cooking oil of your choice. Place in an oven 180c for about an hour, until they everything is cooked and starting to brown. 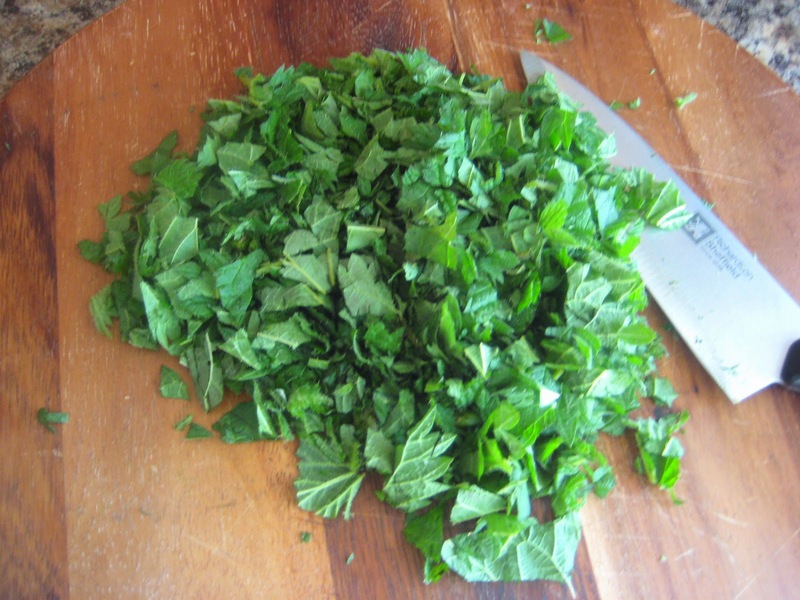 place the chopped nettles in a saucepan of water (using gloves, or a teatowel -they are still " stingy" at this point. and bring to the boil. 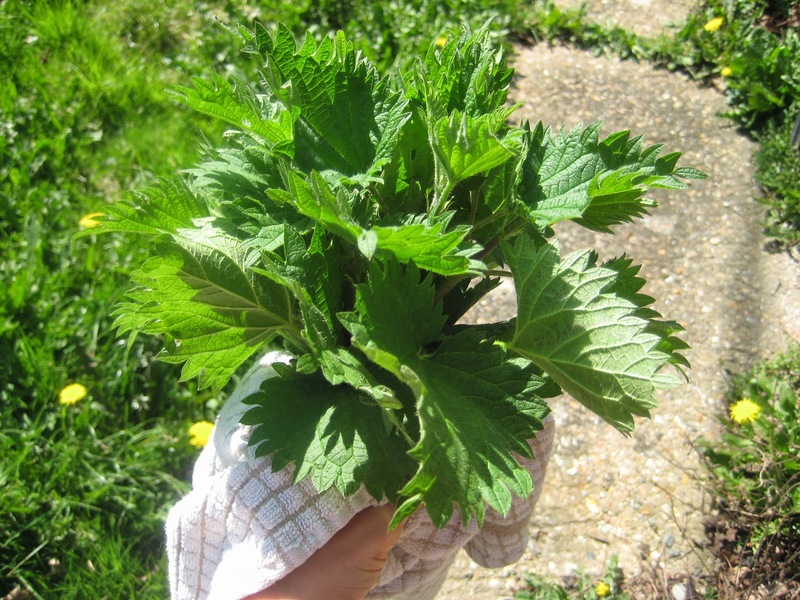 let it bubble away for about a couple of minutes or so and then remove the nettles from the water using a slotted spoon and place in a clean bowl to cool. Once cooled, beat 5 eggs, salt & pepper into the bowl. 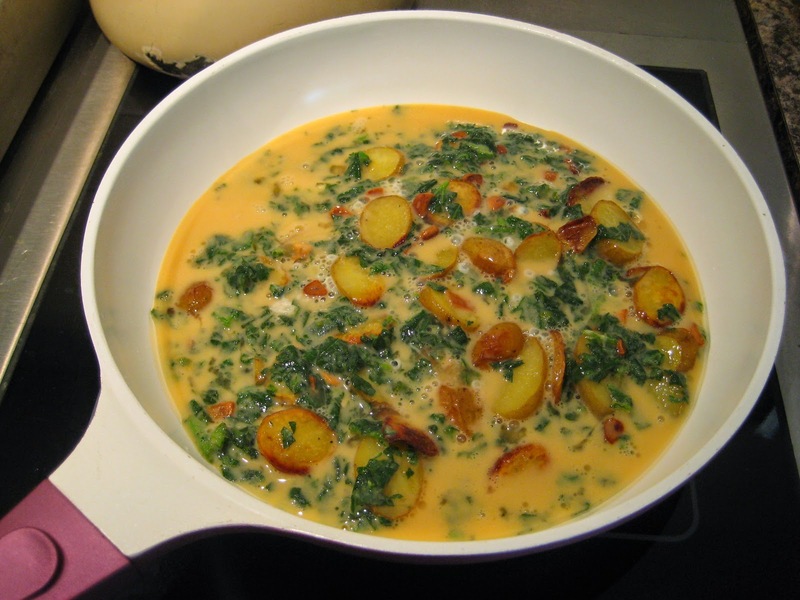 when the potatoes & garlic are cooked, add them to the bowl of eggs/nettles and mix all together. To finish off, place under the grill to brown - or if you don't have a grill, flip it over in the pan and cook the other side for a couple of minutes. ps If you're going to make this, please make sure you're nettles are a clean source - for example - you don't want some that have been growing along a busy road where they're covered in pollution/ dirt.